Mitch and Emily Rales' sprawling private art oasis takes the region's creative scene to new heights. 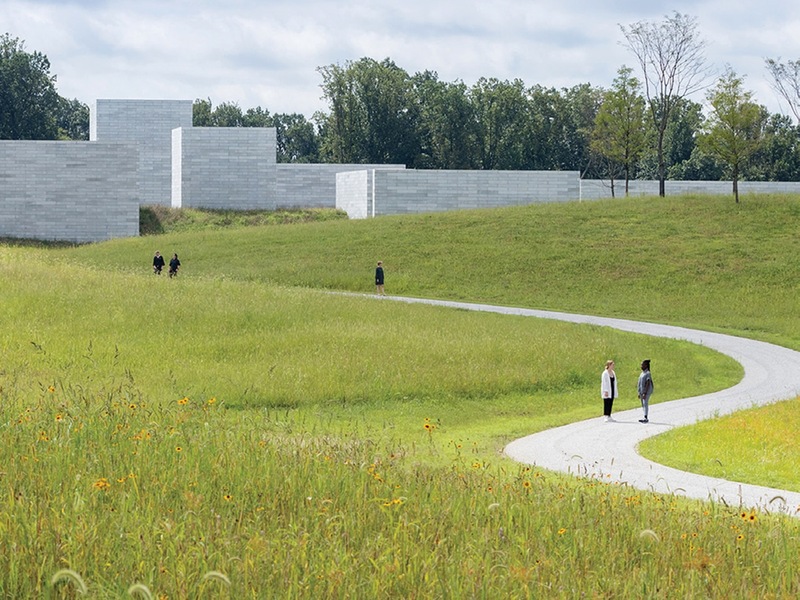 The approach to The Pavilions is thoughtfully woven through trees and sprawling open fields to offer visitors a heightened connection to the land as well as artistic vantage points of the museum’s 11 separate masonry structures, which resemble an Italian hilltop town. The lush 18,000-square-foot Water Court at the heart of The Pavilions offers a meditative outdoor respite. Glenstone (12100 Glen Road, Potomac, Md.) 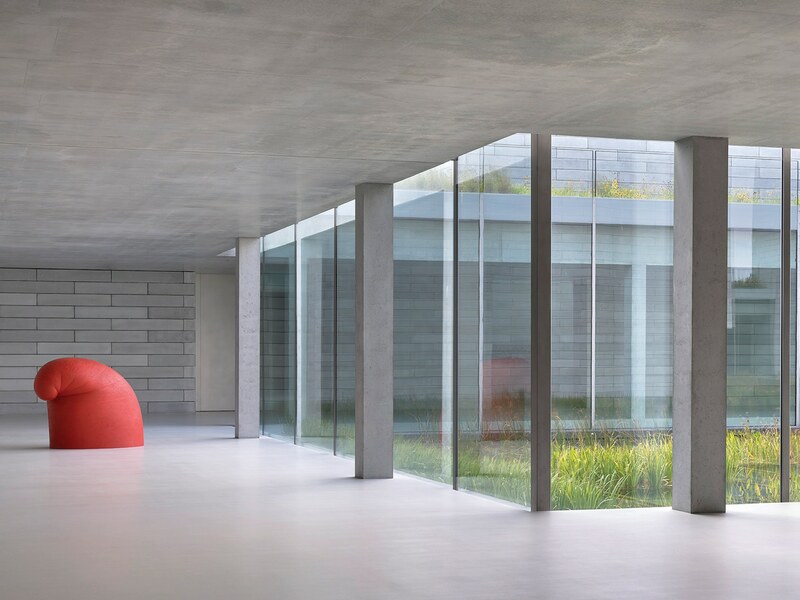 opened to the public in late fall of 2018, but the original seeds of Emily Rales and Mitchell Rales’ art utopia began in 2006 with the original 30,000-square-foot museum building, called the Gallery, designed by Charles Gwathmey of Gwathmey Siegel & Associates Architects in a bucolic 100-acre setting. With the addition of its new facilities, Glenstone now offers art enthusiasts and day-trippers a total of 59,000 square feet of indoor exhibition space in two buildings, all highlighting works drawn from the Raleses’ renowned collection of modern and contemporary art. The 230 acres of serene, unspoiled landscape showcases installations of major works of outdoor sculpture. The centerpiece of the slate gray modern art hub is the 204,000-square-foot museum, The Pavilions, which was designed by Thomas Phifer of Thomas Phifer and Partners. A passageway in The Pavilions takes visitors past Martin Puryear’s painted red cedar, “Big Phrygian” (2010-2014). 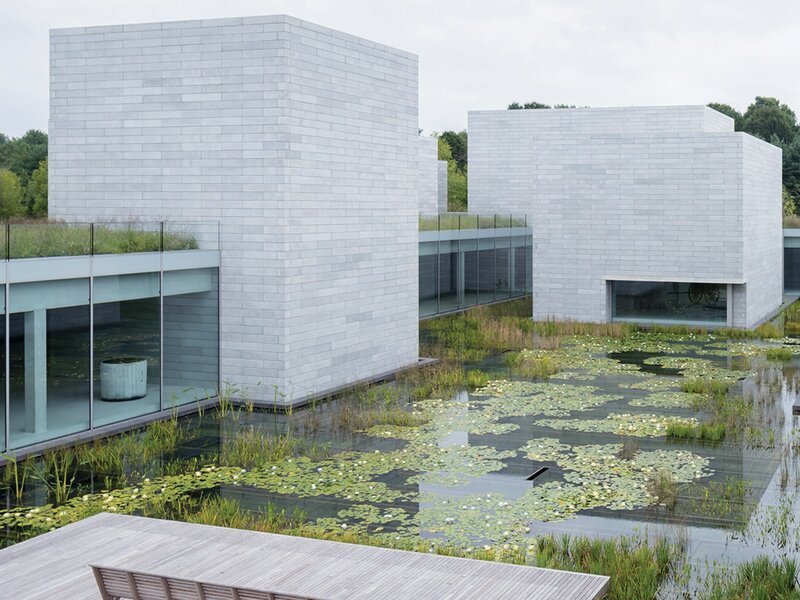 “Our vision for Glenstone has always been that it would be a place with its own character, where exceptional art would stimulate you, and exceptional architecture and landscape would let you feel serene and contemplative,” Emily tells Capitol File. At the core of the museum is a collection of post-World War II art, a very personal project driven by the power couple. The duo only collect artists with a 15-year track record and rarely sell—one notable exception being the Jackson Pollock drip painting “No. 19” (1948) that they parted with for $58.3 million via Christie’s auction house. They used the proceeds to acquire 144 works from Toronto collector and curator Ydessa Hendeles. 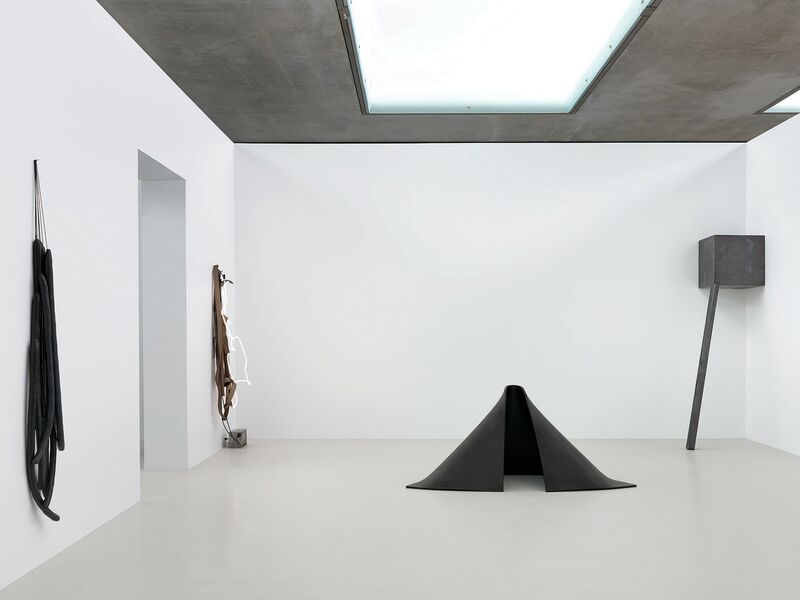 This Room 2 installation juxtaposes “Eva Several” (1965), by Eva Hesse, seen hanging here in the foreground, with three artworks by Richard Serra.